Sometimes doing the right thing means doing something wrong. 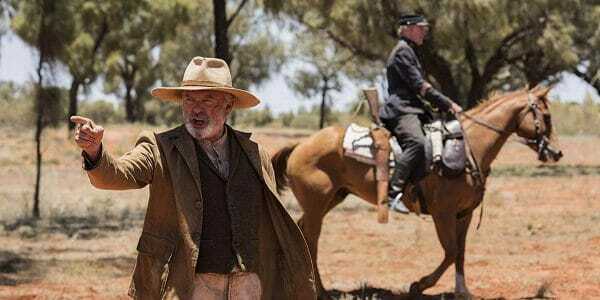 2017 film ‘Sweet Country‘ is a simple, sublime Australian Western that packs an emotional wallop. Being an aboriginal farmhand in 1920s Northern Territory, Australia is a hard life. Not just dealing with the harsh country and backbreaking labor but the daily reminder through scornful taunts, verbal and physical assaults, and a stream of injustices that being Black is not welcomed. So when Sam (Hamilton Morris, brilliant) must kill a white man in defense of his family it was never a question of what to do next. Either you run, or you die. And old Sam has a few tricks up his experienced sleeves for those in pursuit. He’s not giving in without a fight. Shot around beautiful Alice Springs country and with piercing support from the likes of Sam Neill and Bryan Brown filmmaker Warwick Thornton paints a gripping, nuanced portrait of Australia’s shameful past, one that’s not so dissimilar from America’s own. Sam and his wife demonstrate true nobility. Sam Neill offers his righteous indignation. Sam runs rings around these white folk and, yet, in the end does only what he sees is right, consequences to himself be damned. Watching these so-called “superiors” recoil against Sam’s quiet, steadfast nobility reveals some of the uncomfortable truths that help to forge intolerance, notably ignorance and shame. 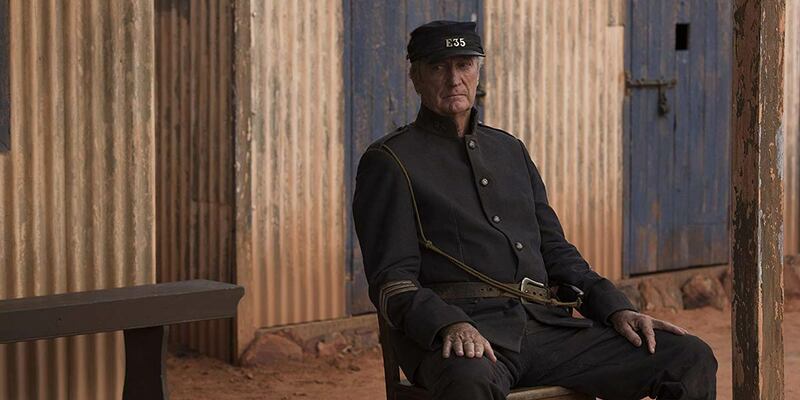 ‘Sweet Country‘ resolves in ways you wouldn’t expect and with a finish you won’t see coming. Powerful performances, glorious scenic backdrops, and unflinching, true-to-life character drama that holds rapt attention and lingers well past the credit role. The breathtaking Australia outback serves as scenery for this uncomfortable look into our ignoble not too distant past. A sweeping adventure that leaves its impact felt.